August is a pretty stacked month in terms of releases this year. The first highly awaited game due this month is probably Hellblade: Senua’s Sacrifice from Ninja Theory, the Cambridge-based independent studio known for Heavenly Sword, Enslaved: Odyssey to the West and DmC: Devil May Cry. 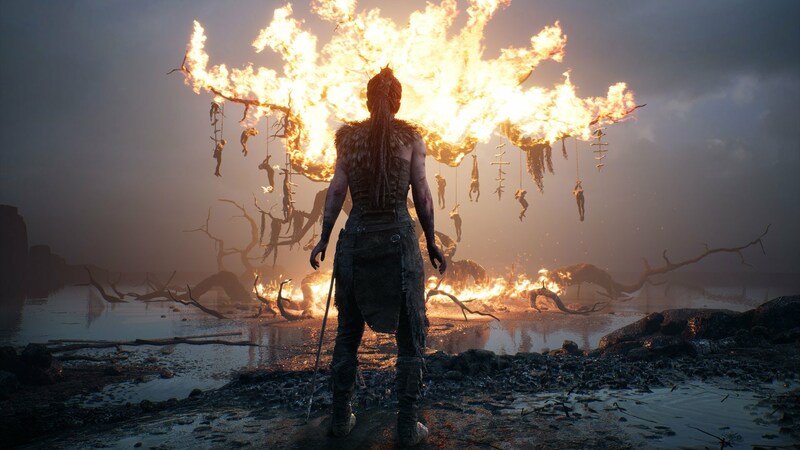 A few days ago, Ninja Theory revealed in a press release that Hellblade would allow PlayStation 4 Pro users to choose between an enhanced resolution and 60FPS frame rate. However, they didn’t provide specifics on the resolution at the time. Luckily, in an interview with Ninja Theory co-founder and Hellblade Creative Director Tameem Antoniades, we were able to confirm that PS4 Pro’s enhanced resolution mode runs at 1440P (2560×1440). Not at launch but it is on our wish list as we would love to see what it can do for a game like this that focuses so much on image quality. The aforementioned press release also confirmed 4K and 21:9 Ultrawide support as well as uncapped frame rate on PC, where the game will be available via Steam and GOG. Antoniades hinted that Hellblade might be taxing on your system if you’re targeting the gold standard of 4K@60. You would need an absolute beast to do 4k at 60. We don’t have recommended specs for PC yet but we will release these when we know. While recommended specifications aren’t available yet, the game’s Steam page does provide minimum requirements. It also notes that the target of these minimum requirements is a resolution of 1280×720. We can’t wait to put Hellblade, which is powered by Unreal Engine 4, to the test with our rig. The game will be available starting August 8th on PC and PlayStation 4.